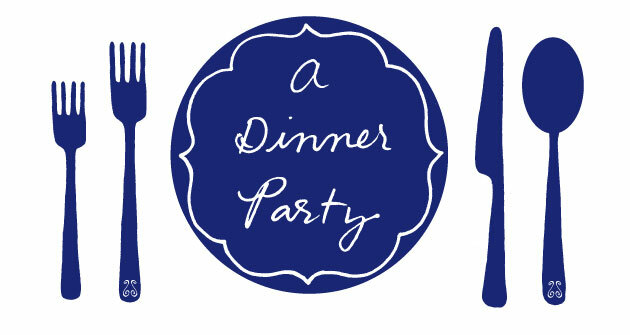 dinner party: mailbag: gluten-free birthday lunch for six? mailbag: gluten-free birthday lunch for six? This weekend my family is coming into town for a birthday celebration for my mother. I'm going to be making a lunch time meal for 6 people. I'd like to be somewhat seasonal if possible (given the limited things available right now! ), and to throw in one more hitch, it would also be great if it was gluten-free. Any ideas for a celebratory lunch menu? I'm a little stumped! Oh, I feel your pain, Julie. I'm gluten-intolerant, and figuring out what to eat for lunch (let alone feed other people) can be really tough. Most mid-day meals, whether it's brunch or lunch, involve lots of carby goodness: sandwiches, waffles, toast, wraps, grain-based salads, etc. etc. etc. So my standbys are soups, salads, and egg- and rice-based dishes. It's limiting, but also forces me to make healthier choices, even though most of the time I really want that plate of pancakes. That said, it's totally possible to do a gluten-free lunch that's delicious and seasonal and special, not just healthy. The goal is for no one to say, "Hey! Where's the bread?" and I think I came up with a few menu ideas that will take care of that. Of course, if one of your guests is totally bread-crazy, it never hurts to toast and slice up a baguette and put it in a separate bowl. (People who have severe cases of celiac disease can't do this, but thankfully I can handle gluten in my kitchen without getting sick.) But I can pretty much guarantee that if you have enough interesting stuff for people to eat, they won't miss the bread basket at all. When I cook, I mainly focus on foods that are naturally gluten-free, although there are a wealth of sites out there focused on adapting recipes for a gluten-free diet. Frankly, I don't feel confident in my gluten-free baked goods yet (gummy chickpea flour pancakes, anyone? ), so I try to avoid them when I am cooking for a group. I find that there's less room for error when you cook with ingredients that are already gluten-free, especially when you have the added pressure of entertaining. I could also see doing a nice birthday brunch, maybe with bloody Mary's or mimosas? Good luck! And let me know how it goes. Oh, these menus look fantastic! I adore the first brunch, and as someone who make a mean quiche, I think frittata will be a cinch. Thanks you so much! I'll be sure to let you know how it turns out! Ever been to a restaurant like the Zen Palate and seen a menu item like this? "Shredded Heaven (w/taro spring rolls, brown & red rice)--chives, bean sprouts, bell peppers, jalapeños, two kinds of shredded soy, & wheat gluten"
Notice how wheat gluten is listed as a separate ingredient. Maybe the trick to gluten-free dining is just to order your gluten on the side. Last night I did a Polenta Gratin with Kale and Cremini Mushrooms that would be a great side dish...and wheat free!